When you are a homeowner, you have many responsibilities regarding your home and property. You not only need to take care of what goes on inside your home, getting repairs and maintenance done regularly, but you need to do the same to your property as well. This care goes beyond mowing the load or raking leaves. You also need to pay close attention to the condition and health of the trees on your property. It is always a good idea to go and look at your trees and know how to identify when you need tree removal in Los Angeles. When you look at your trees, one of the things you want to look for is any noticeable signs of disease or decay. Sadly, trees today are very vulnerable to different pests or to chemicals, pollutants, and pesticides that are used and can contract diseases easily. A tree that has become weak shows outward signs of severe decay or disease, or has rot in many places, is one that needs to be removed. Removal protects the safety of your property and can help restrict the spread of infestations or disease to other trees around it. There can be reasons why you want tree removal in Los Angeles beyond the health or state of the tree. If you are planning new construction for your property, such as an addition to your home or a swimming pool, removing some trees may be a necessary part of the construction. You want to identify the areas you plan to work in so you know what trees can be potential problems for you so that you can relocate or remove them. 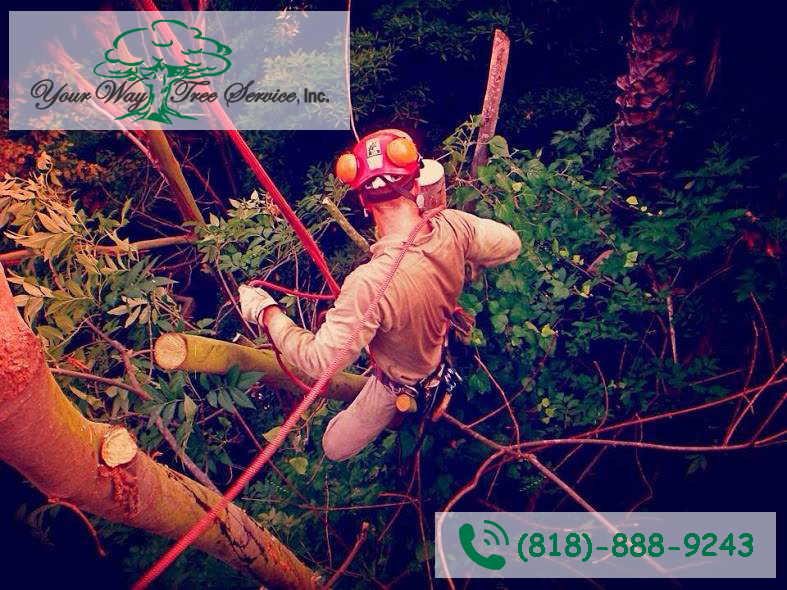 Tree removal in Los Angeles is something that is best left to an expert service like ours at Your Way Tree Service, Inc. We offer reputable, safe, effective tree removal and a variety of other tree services that you may want or need. To learn more about us, please read the articles and pages here on our website so you can see how we can help you. You can then phone us at 818-888-9248, and we will schedule an appointment to come to your home, review your property, and discuss the best options for tree removal with you.